"The venue where you get married sticks with you longer than many of the other details"
The largest available space is The Library, which holds 300 guests for cocktails and a standing reception, or 225 guests for a seated dinner. The gorgeous crystal chandeliers, the views of the grounds and the city beyond, and obviously the ornate antique book collection all make it a thoroughly romantic space. The Conservatory, by contrast, is characterized by the plants around the room and the many enormous windows. The marble floors make the space feel regal, as if at any moment a princess with a full ball gown might sweep by in the arms of her prince. Look up and you'll see the exquisite stained glass dome ceiling, with colored light filtering into the bright interior. This venue is appropriate for a more intimate wedding of 90 guests for seated dinner or 150 for a standing reception; it's also a popular choice for the ceremony itself, and it can seat 180 guests this way. Glass Pavilion or Great Hall? If you've always dreamed of an outdoor wedding reception but don't want to deal with summer's muggy weather or insects, the Glass Pavilion is the perfect venue for you. 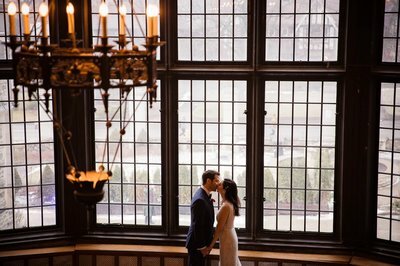 Located on the grounds of Casa Loma, this all-glass structure provides the beauty of the surrounding landscape, but with climate-control and lots of space for up to 200 guests for a seated dinner. You can even see Lake Ontario from inside the glass. Other spaces are available for event rentals inside Casa Loma, including the imposing Great Hall with its 60 foot high ceilings and outdoor ceremonies held in The Gardens. However, these three are the most popular for wedding packages. When you are making your choice about where will work best for you, it is well worth exploring the rest of the building. I love taking a few photographs out in the gardens and on the imposing but beautiful patios surrounding the main castle. Casa Loma was built in 1914 and remains one of the only true castles in North America. It was the vision of Sir Henry Pellatt and his wife Lady Mary Pellatt; the vision for the building, the grandest of the entire continent, came from his love of European art and architecture. The building is now a historical and architectural landmark visited my hundreds of thousands of people every year. 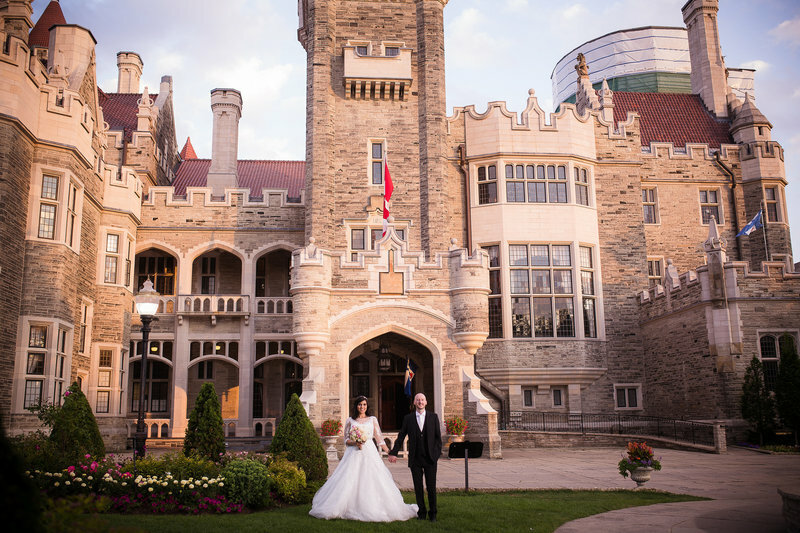 While at various times since its creation Casa Loma has sat vacant, a testament to a grand family, it is now managed by an entertainment group that helps to bring its full potential as an event venue and historic location to the forefront. They have done this by hiring an award-winning staff, bringing in world-class chefs to create the catering menu, and organizing various major events each year. take a look at the different themes below. 1. The food is considered second-to-none: an executive chef supervises the menu and your wedding package includes a tasting so that you can be sure that every item will be delectable. 2. The natural beauty of this venue means that you'll need very little in terms of decorations: sculptures, fountains, and landscaped gardens provide all of the visual beauty you could possibly need. 3. Wedding packages also include full bar service, right down to the sparkling wine for a toast and some coffee and tea at midnight. 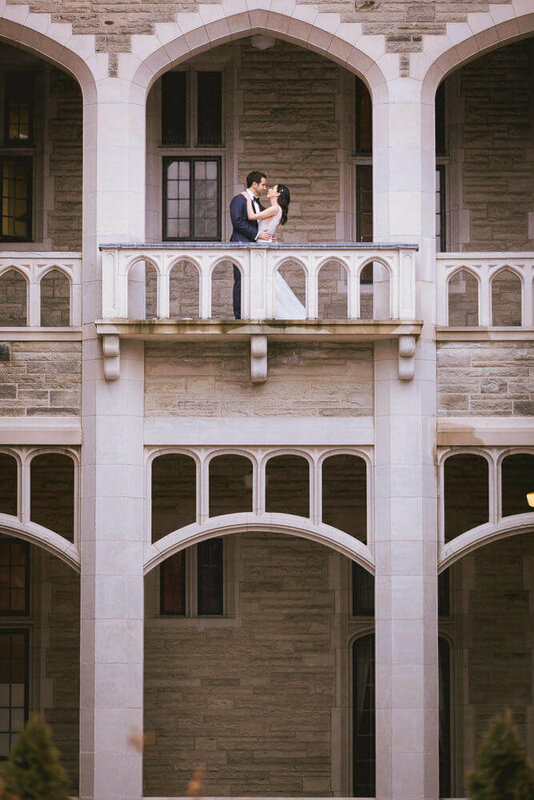 The little touches make a wedding at Casa Loma feel like you really are hosting a royal banquet or ball, which makes a bride feel even more special on her special day. 4. Photo shoots for engagement photos or bridal photographs can be scheduled at Casa Loma in addition to your typical wedding day photographs. I enjoy finding beautiful nooks and paths throughout the five-acre gardens to take great photographs of the happy couple. 5. The venue has a list of preferred vendors including everything from floral arrangements to cakes and pastries. Working with these vendors allows you to know you are getting the level of service expected for quality venues like Casa Loma. They also have event coordinator services that help you make your day organized and clear for yourself and your guests so you can focus on enjoying the moments. 6. Brides who have held their weddings at Casa Loma cite a few elements as unusually stellar: the beauty of the scenery and interior of the building, the way their photographs turn out given the lighting in the wedding venue spaces, and the beautiful bridal suite where the bride and bridesmaids could get ready on site are all mentioned. 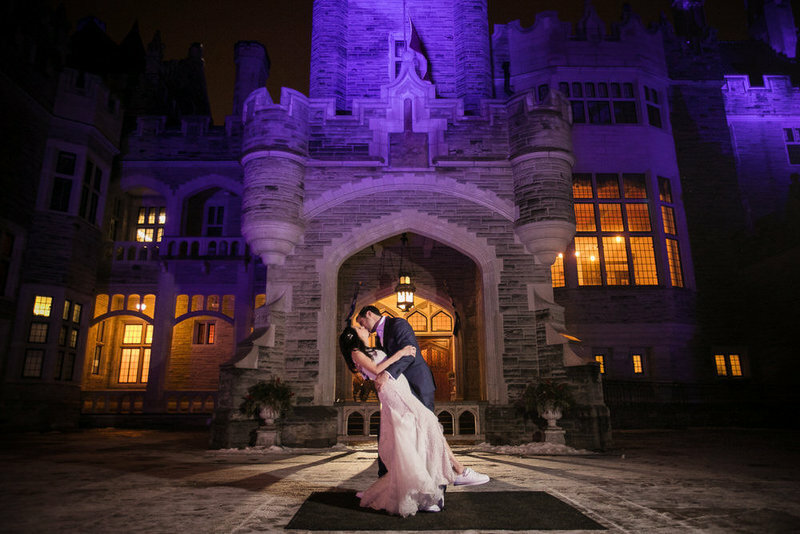 In conclusion, Casa Loma is one of the only castles in North America, giving brides and grooms the unique opportunity to truly marry like royalty. Treat yourself and your guests to the sumptuous beauty and incredible menus available at Casa Loma, and you'll be reminiscing about that night for years to come. If you are looking for a Toronto wedding photographer, Luminous Weddings is ready to capture your Toronto wedding photography at Casa Loma. Your fairy-tale wedding will have a happy conclusion, one that ends in beautiful images that capture the joy of the special day. 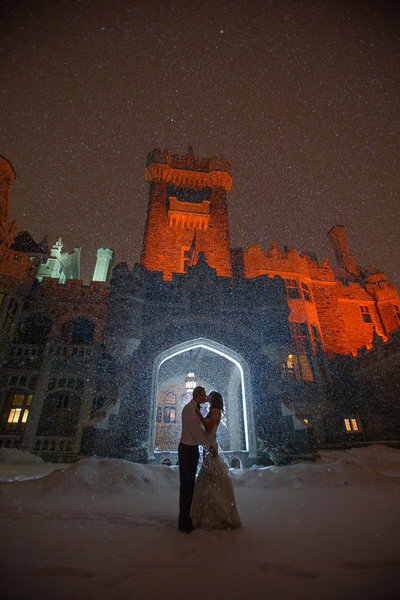 are you planning a wedding in CASA LOMA in toronto? contact luminous weddings today to learn how we can make your vision come to life! One smart thing to ask when working with Casa Loma is what other events coincide with your wedding, since sometimes events go on simultaneously in completely separate parts of the property. Due to the immense size, the building can accommodate 1500 people at once for large events. For smaller headcount weddings, however, this means that there are multiple options for where to hold your wedding ceremony and reception.